Editor's Note: Video has been removed from the Jimmy Fallon YouTube Channel and NBC website. 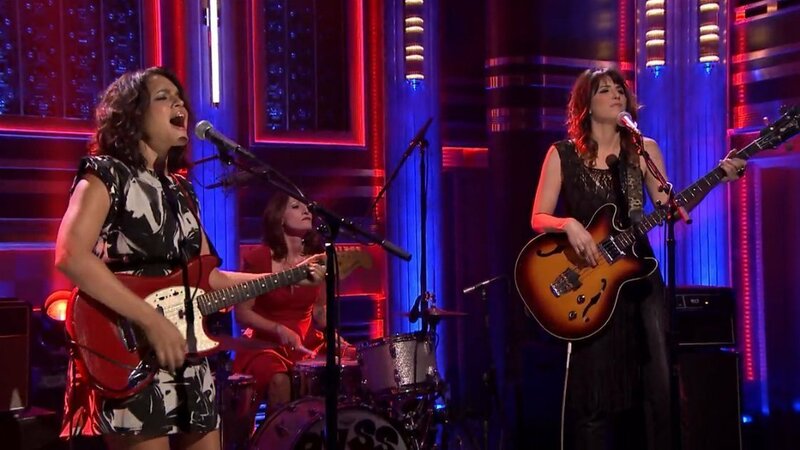 On July 16th, 2014, Puss N Boots performed on the Tonight Show with Jimmy Fallon. The alternative-country trio performed "Don't Know What It Means" from their debut album No Fools, No Fun. Norah Jones leads the trio with her bluesy voice, but the standout moments are the harmonies the three women create together. No Fools, No Fun was released July 15th, 2014 by Blue Note Records. Both the original songs and covers give off an relaxed vibe, perfect for relaxing outside and enjoying the summer breeze. For Puss N Boots' latest music, news, and tour dates, check out their Blue Note artist page.